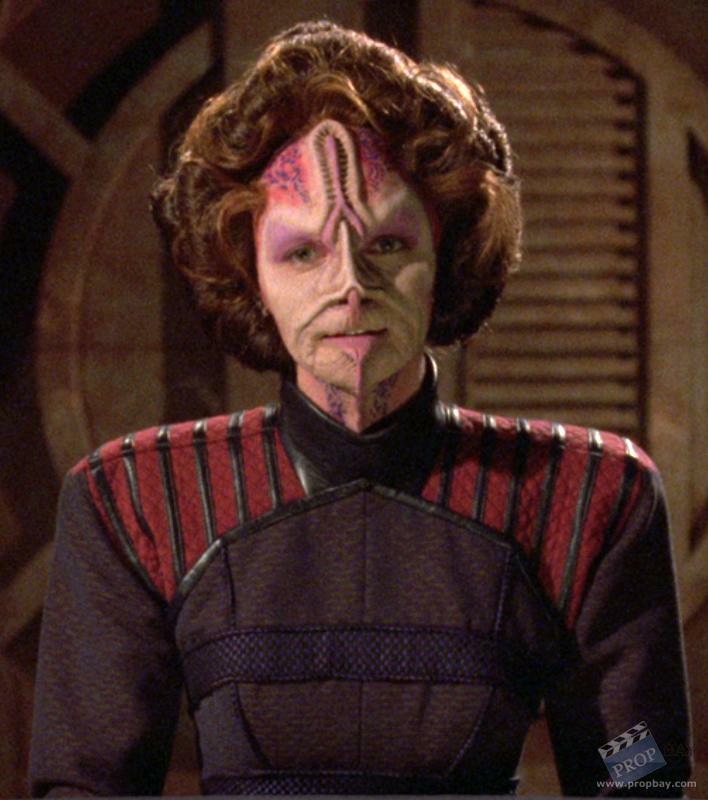 Terrellian military uniform worn by Androna (Martha Hackett) made for the finale episode of the seventh season ‘All Good Things’ of Star Trek: The Next Generation (1987 – 1994). This costume was intended for the character Androna, the pilot of a lead ship within the armada of the five Terrellian transport ships in which the USS Enterprise-D encounters. However, the scene was ultimately cut from the final version of the episode. The costume consists of a woven patterned high-necked jacket and trousers. A label is adhered to neckline of the jacket’s lining with “Star Trek TNG” printed in black and “Martha Hacket” (sic) written in blue marker underneath. A similar label is sewn into the waistband of the trousers. Added: 04-02-2019 - Viewed: 51 times.